Playspan has scored a number of high profile deals to power micropayments for social networks, game developers, media companies and gaming platforms. Today, Playspan is announcing that it will be deploying its payments platform on Sanrio Digital’s social game Hello Kitty Online. Hello Kitty Online, which is in private beta, is the official massively multiplayer online game (MMOG) of Sanrio’s Hello Kitty brand. 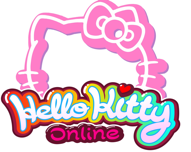 Hello Kitty Online combines elements of social networking, including blogs, video sharing and email, as well as gaming components such as customizable avatars, guilds, pets and crafting. Specifically, the game will offer an Item Mall, where users can buy virtual-goods through purchased Sanrio Cash Points or earned Sanrio Loyalty Points. PlaySpan’s technology will help power payments for these goods. Hello Kitty is no doubt a popular brand when it comes to electronics and other merchandise, so it should be interesting to see how the company’s foray into social gaming works out.